Vacant Parking Lot-Main St Sanford, ME! Subject property is located on Main Street in Sanford Maine. 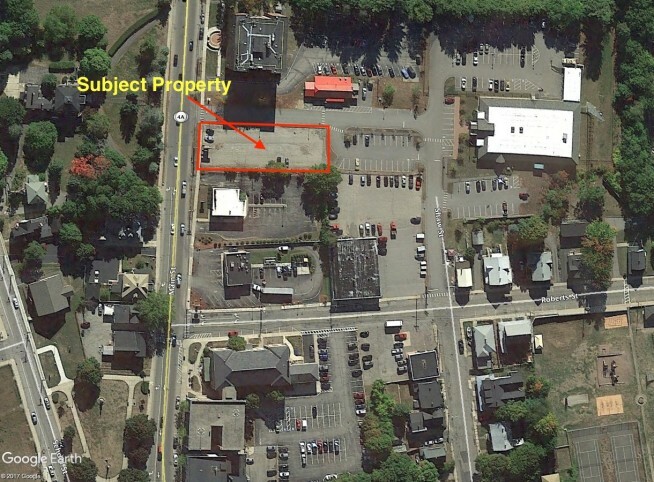 Property is a vacant parking lot located in-front of the the Sanford Police Station and abuts the Verizon Wireless Retail on Main St! This .33 AC lot is zoned Urban and approximately 72 FT of frontage on Main St. The lot dimensions are 72′ by 200′ +/-. Parking lot would be a great location for food trucks to bring to Sanford’s downtown district. Contact Marc Brunelle-207-229-5156 for more information!